MacVector 12.5 was released yesterday. A few days late but we’d always prefer to wait rather than release with annoying bugs. This is a major release with a lot of new features. Many parts of MacVector have been substantially rewritten both to keep up with OS X as well as many dialogs that have been redesigned. The main new features are for sequence alignments. 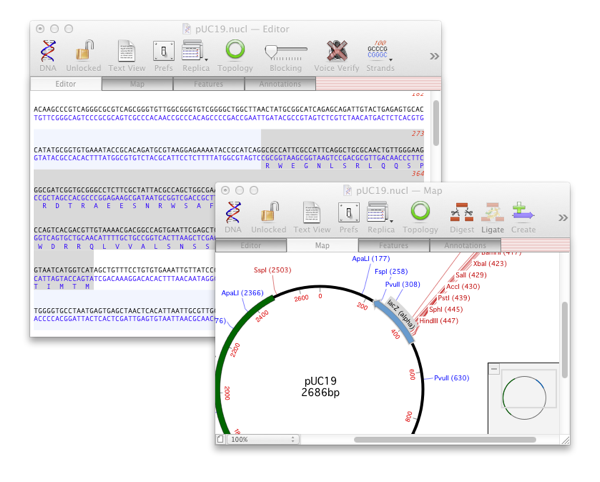 We’ve added Bowtie to Assembler for further support of NGS data assemblies. Along with variant detection using Samtools to match the existing SNP report tab. We’ve also added additional alignment algorithms. 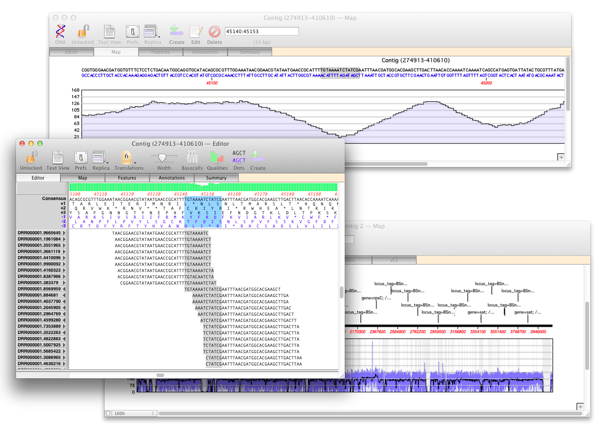 Both Muscle and T-coffee have been added to the Multiple Sequence Alignment analysis interface, complementing the existing ClustalW algorithm. We’ve wanted both of these for a while now and judging from the results of last year’s survey so have many users. There’s also enhanced support for segmented features as well as being able to display translated CDS features directly in the sequence editor as well as the Map view. There’s SNP reporting for the Align to Reference editor as well as greatly improved performance for its algorithm and also for the Auto Annotation tool. MacVector 12.5 is fully Mac OS X 10.7 (Lion) compatible as well as being supported on OS X 10.5 (Leopard) and OS X 10.6 (Snow Leopard). However, MacVector 12.5 is not supported on OS X 10.4 (Tiger). If you are still using Tiger (from our last survey much less than 1% of our users still use Tiger) MacVector 12.0.6 will still remain supported. This is just a short overview, if you have a valid license download the updater or if you do not download a 21 day trial. This entry was posted in Releases and tagged What's New?. Bookmark the permalink. Both comments and trackbacks are currently closed.